Deciduous small tree. Broad wavy edged leaves are crimson bronze in autumn. Attractive large four pointed creamy white bracts. Pinkish strawberry fruits. Dislikes shallow soils. 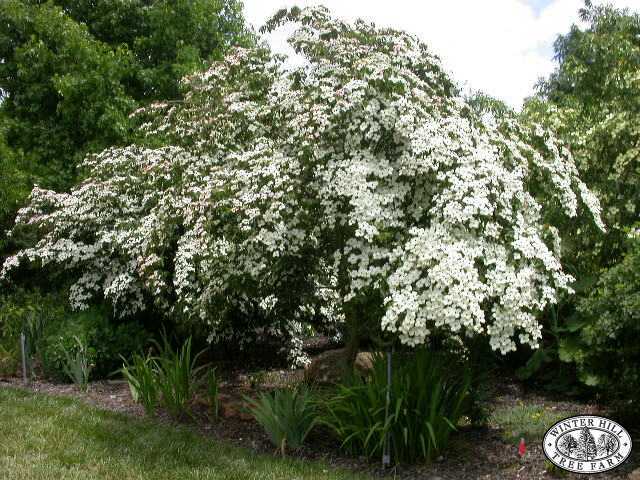 One of the hardier dogwoods.